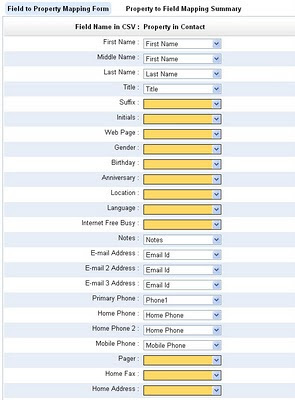 iFreeTools CRM - the free CRM built over Google App Engine, for use with Google Apps - now supports import field mapping. Now you can map fields from CSV files imported from other sources by providing the field mapping in an easy to use interface, instead of having to manually mapping them in the CSV file. 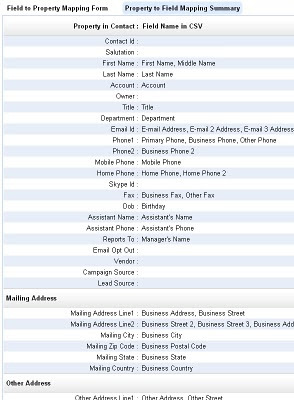 The source can be address book from Outlook or from Google Contacts exported as CSV, or even from your old CRM/database system. Such field mapping can be saved and reused multiple times. To enable this mapping, the import process will now contain 2 steps. First one will be similar to the one which we had earlier, where you could provide the CSV file to be imported.. The next step will be to provide the mapping. 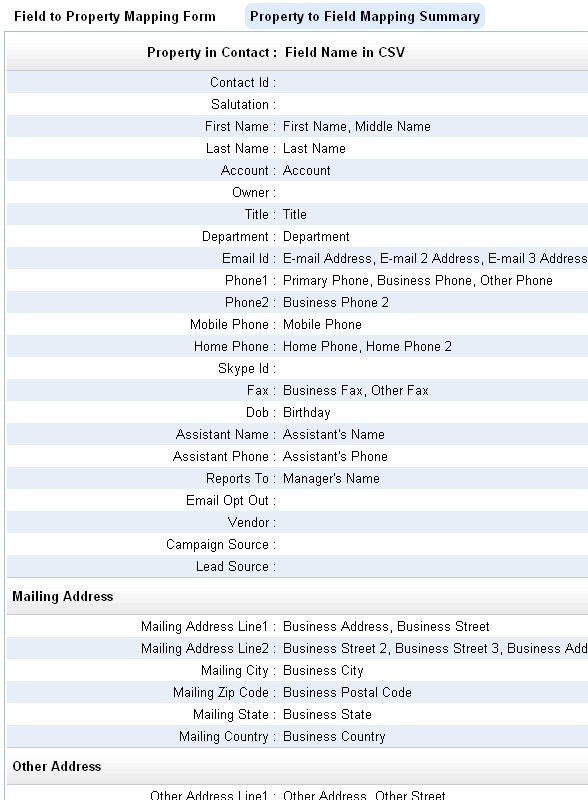 By default, the app will try to match the fields in the CSV with the property in iFreeTools record. The unmapped fields will be highlighted as shown below..
You may now provide the mapping for all fields which you want to import into iFreeTools. 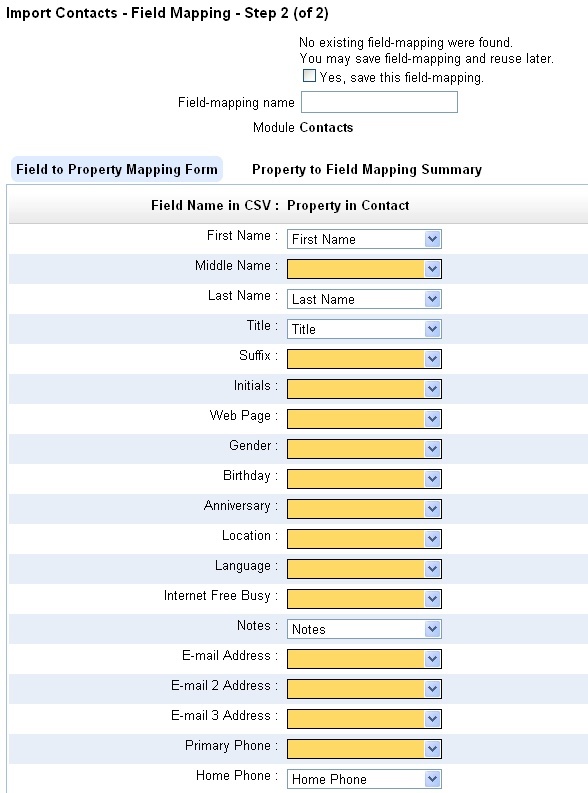 You could even map multiple fields from CSV to a single field in iFreeTools. The multiple values will be joined together and stored in the property. You can view the reverse mapping to see if you have covered all important mapping. 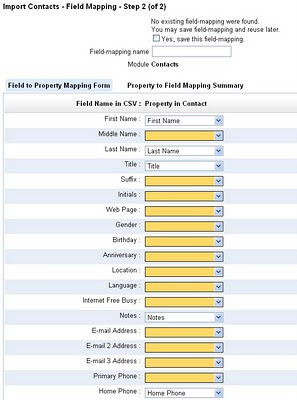 In CRM, if the records require an "owner" property, it will be set to the user who performs the import operation. You could later use the Bulk Edit feature to reassign owners as required. You could also provide a name for the import field mapping, so that you could just select it from the selection box the next time you need to import a similar CSV file. 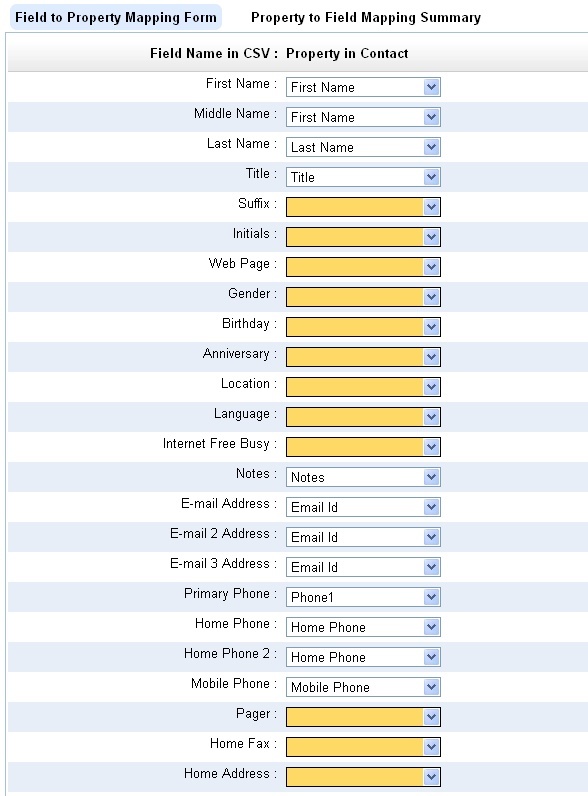 This feature is also available for custom database apps created using iFreeTools Creator.